Recently I saw an article on FoxNews about technology developments in cinema, that movie theatres would be moving towards implementing digital projectors, and film-based movies would start to become a thing of the past. The article noted that "...experts say most film projector makers are racing to build and sell new digital models. Is Kodak, the company that single-handedly pioneered much of the film industry getting involved in the rush? Not so much, the company said. Kodak recently told Variety that its film business was still profitable and quite viable." Reading these comments I was reminded of the case of The Innovator's Dilemma, a concept put forward by Harvard researcher Clayton Christensen. Simply put, the concept suggests that established organizations will face a dilemma: whether to focus whole-heartedly on developing breakthrough new products OR focus on preserving and maintaining current products. The essential dilemma comes out of the concern that breakthrough new products can hurt the attraction for the company's 'bread and butter' - the current products. Christensen examines this concept in his book, The Innovator's Dilemma. He explores the essential mystery as to why great firms fail to hold their leadership position and marketshare, despite being leaders in their market, and what would seem to be very capable of continuous innovations within their industry. 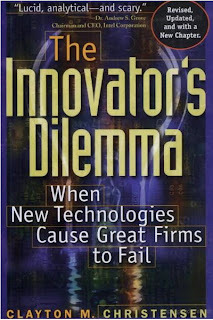 Christensen identifies and focuses on the issue of “disruptive innovations” - the “changes that toppled the industry leaders”. These are not radical improvements to current solutions, rather the disruptive innovations take a new approach, often rendering the industry leaders obsolete. Too focused on immediate profit margins, and not willing to risk a look 'around the bend' the industry leaders become a victim of their own sense of satisfaction. Kodak has seen this predicament before in their company history. In 1975, Kodak (or more specifically Steven Sasson) invented the digital camera. Kodak didn't take a bold step forward, and usher in the digital age, but seemed to ignore this innovation for 20 years, laying the groundwork for the decline of Kodak. In 1994, Apple introduced the world's first consumer digital camera, the Quick Take 100. Ironically, it was actually created by Kodak. Meanwhile, Kodak continued to put their focus on their film division, as the digital camera industry started to develop. Kodak half-heartedly made an appearance with the DC-40, then DC-20. These were not the heart and soul of the company, and were almost created to be failures, so as not to harm the film-based side of the business. Yes, Eastman Kodak used to be a leader in the film photography industry. Yet over the last decade, Kodak's market value dropped by about 20 percent each year, due to the competition of digital photography. How Kodak fumbled first against Polaroid technology, then digital were succinctly outlined in the article Eastman Kodak and the Power of Disruptive Technologies, and the tumble and fall history was recorded in Bumbling the future: The Rise and Fall of Eastman Kodak. It would seem obvious that the best thing to do is embrace innovation, let your current business be canabalized and seek to dominate the next big thing. Yet in the Kodak example, this was not just overlooked but completely avoided. Kodak is not alone in failing to tackle The Innovator's Dilemma. Brands like Border's, Blockbuster, and Tower Records were decimated by by distribution channels like Amazon and Apple's iTunes, as noted by the article Netflix and the lesson of Kodak’s Museum Brand, warning of a similar fate for Netflix. With all this history, one would think that Kodak would have learned from the past and adopted new approaches when the challenge arose. Now we are seeing a new field, the changing arena of the movie theatres. Movie theatres have changed profoundly over the years. From being a main hall only in big cities with a single feature, to becoming the local place to enjoy a new entertainment, to becoming massive cineplex's in suburban centers, the movie-going experience has taken on new proportions. Hollywood is also moving toward digital. "Digital cinematography's acceptance was cemented in 2009 when Slumdog Millionaire became the first movie shot mainly in digital to be awarded the Academy Award for Best Cinematography and the highest grossing movie in the history of cinema, Avatar, not only was shot on digital cameras as well, but also made the main revenues at the box office no longer by film, but digital projection. In 2010 the Academy Award for Best Foreign Language Film, El secreto de sus ojos, was won by a movie shot digitally." So it makes sense to see digital projection as the next step for the modern movie house. Right? "We're still making billions of feet of film and will continue to do so," Kodak VP of marketing Ingrid Goodyear told Variety. "Right now and for the foreseeable future we still see film to be an important part of Kodak's business." Kodak's marketing is supporting this strategy and is on the defensive, focusing on striking back at calls for innovation and at visionaries, by lauding the success of film. The marketing effort has emphasized recent Hollywood releases using Kodak film, like War Horse. Yet as The Innovator's Dilemma would point out, this is the condition that unpins great companies: they focus on what worked well in the past. This mode of thinking leaves the company vulnerable and exposed to great innovator's, looking at how to do things better. The great companies of today do not lack these type of insightful, creative, bold thinkers. The problem is that company's taking the Kodak approach end up 'clipping the wings' of these people, and stay focused on what has already worked for the business. In any innovator dilemma, the company is always left wondering what to do. Should the company fervently adhere to what is currently working, or take risks on what the future holds. Judging by recent headlines, Kodak's conservative approach to innovation, ignoring innovation can be deadly. FoxBusiness reports: "In the last five years, Kodak's stock has really lost its luminance, falling from more than $30 to just pennies per share." ...the company still had not recovered from its first misstep: its failure to fully embrace digital cameras after sales of Kodak’s signature yellow-box film collapsed. “The big story here is that their core business — the yellow box business — got cannibalized by the digital camera, which ironically they invented,” said Mr. Whitmore, who works at Deutsche Bank Securities. The Wall Street Journal reported in October 2011 that Kodak Seeks Help as Fears Mount. The report featured the steps that Kodak were taking to hold the company together by hiring the law firm of Jones Day to advise on restructuring and "Jones Day's restructuring lawyers have advised major companies on bankruptcies." Since those reports, more turbulence have hit Kodak. 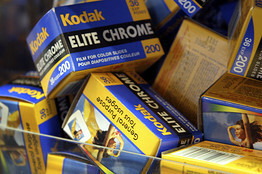 As 2011 came to a close, The Wall Street Journal reported that Kodak has lost its third board member in 2 weeks. 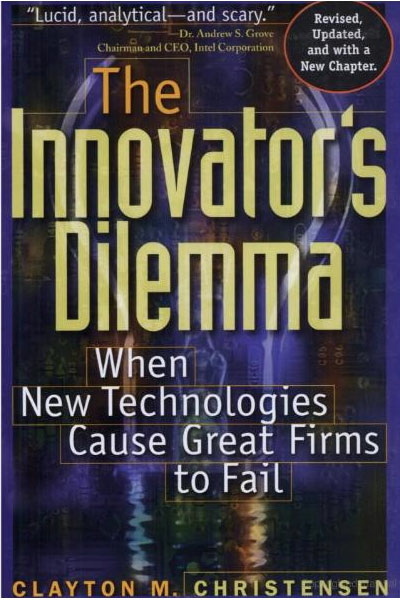 What examples have you seen of company's coming face to face with the Innovator's Dilemma? The press release has become ubiquitous. With the advent of paid and free press release distribution services, the wizardry of distributing press releases no longer remains in the sacred hands of PR agencies. With this the template for the press release has also become a widespread, recognizable phenomena. 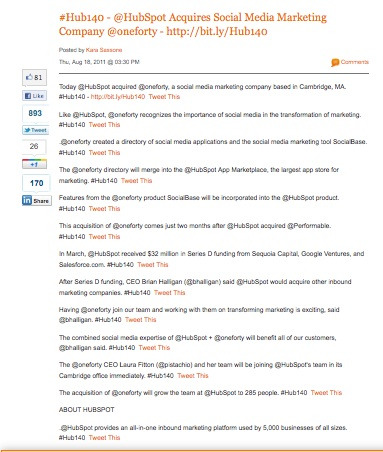 Unfortunately, due to the press release structure and recognizable appearance with a few descriptive paragraphs, a couple quotes, the date and city of distribution, press releases have come to look so much a like that they actually accomplish the opposite of their essential function - to promote. David Meerman Scott has noted how language has made press releases effectively invisible in his famous Gobbledygook Manifesto. He noted how specific words and phrases (buzzwords and catch-phrases) have become so prevalent in the composition of press releases that have undermined the communication effectiveness. The press release has gone through some transformations, especially with the advent of the digital age. Originally the purpose of the press release was focused on getting the attention of, well, the press. Now with internet marketing and the mysteries of SEM (Search Engine Marketing), the wide distribution of press releases across the web is not necessarily focused on getting picked up by a reporter. Rather the press releases wide presence across directories and news portals serves as a tangential support for increasing the visibility of a brand and main website. So how can you stand out in the crowd when you want to promote your company/product/service? The PR Daily in their article "5 examples of offbeat press releases" featured some exciting and offbeat approaches that have been getting attention, that inject new energy and creativity into the artform of press release writing. This inspired me to compile a list of some cool ideas to help your press release stand out from the crowd. This isn't meant to replace your entire press release program, so use with caution. These techniques should be saved for very special occasions, when you need to really blow them away and get a lot of press, fast. Take advantage of April's Fools and produce an announcement that is truly too big to be true. Make fun of the absurdity of the press release phenomena! Yes press releases are so common and identifiable, so this is a good opportunity for some self effacing humor. Taking inspiration from the spirit of Seinfeld (a show about nothing), announcing that nothing has changed can be a twist on the usual press release (which in many instances are really announcing nothing). "Infographics stand out from traditional press releases. Reporters are bombarded with press releases all day long. Most of them look and sound the exact same. By sending an infographic rather than a traditional press release, you give yourself a much better chance of standing out and capturing the reporter’s attention." The Center for Disease Control, an organization not immediately associated with the concept of hip, got a lot of attention with their release of a guide for dealing with Zombies in Preparedness 101: Zombie Apocalypse. While this is a blog post, it definitely forms the basis of interesting and offbeat press release material. What makes this stand out? The CDC took the unexpected approach. A serious organization focused on the mundane process of protecting the greater population from known and new forms of diseases, essentially bacteria-sized contagians, put a new 'face' to their effort. Zombies have a strong visual association in our culture, are immediately recognizable and due to the sharp contrast of the traditional nature of the CDC, this becomes a story in itself. This becomes a press release to read and turned into a bigger story. So you need some inspiration for writing in an irreverent fashion. 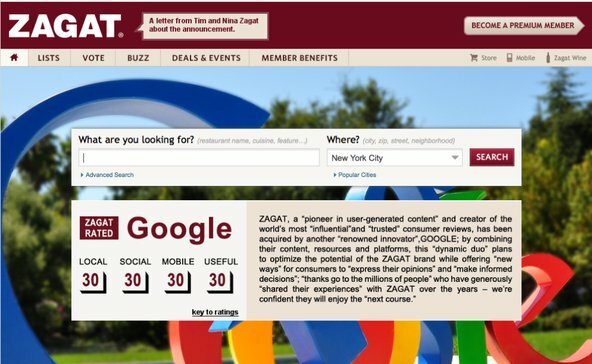 One great place I looked at was http://www.satirewire.com. Another excellent location to get your creative juices going in different directions is The Onion. What cool twists have you applied to get your news noticed? I feel like maybe you've hit a roadblock. So your juice was flowing. And you were on fire. In very quick iterations, you've absorbed every piece of feedback and ramped up your blog post. Then you heard - keywords. Like a ton of bricks, your momentum came to a screeching halt. You hit a ... roadblock. And I want to help you navigate through it. I think the concept of selecting the right keywords can be incredibly overwhelming. 1. So first set your keyword goals. 4. You'll end up with an overwhelming amount of keywords. We would have that this was an excellent keyword. This is actually a terrible keyword, which kind of goes against our intuition.